Sunday night in Scotland, the UFC will host ‘UFC Fight Night: Glasgow’ which will be headlined by a welterweight fight between Iceland’s Gunnar Nelson and Argentina’s Santiago Ponzinibbio. 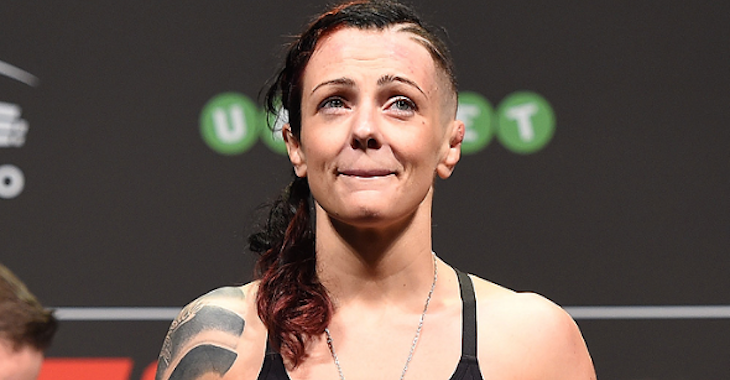 Prior to that however, the fighters hit the scales for early weigh-ins ahead of their scheduled scraps, where UFC women’s strawweight contender Joanne Calderwood missed weight, coming in at 118 pounds, two pounds higher than the strawweight non-title fight limit of 116 pounds. 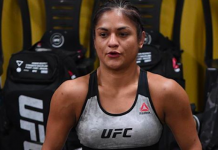 As a result, she of course has forfeited 20% of her purse to Cynthia Calvillo. For Calderwood, this further builds her case for the UFC opening a women’s flyweight division. 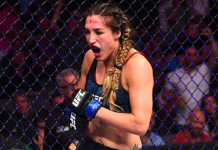 After going 9-0 throughout her professional career, which included a stint on The Ultimate Fighter season 20, she lost her first professional fight to Maryna Moroz in 2015. 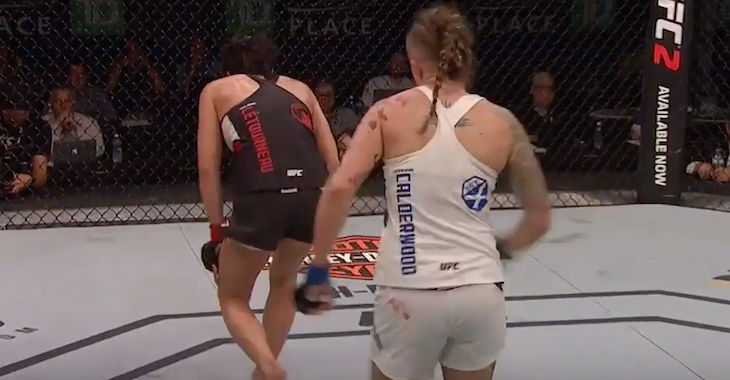 Following that, Calderwood bounced back by picking up a unanimous decision win over Cortney Casey in a ‘Fight of the Night’ performance. 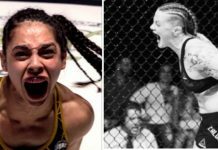 Following that, the UFC held the first women’s flyweight fight between Calderwood and Valerie Letourneau, which Calderwood won in dominant fashion. 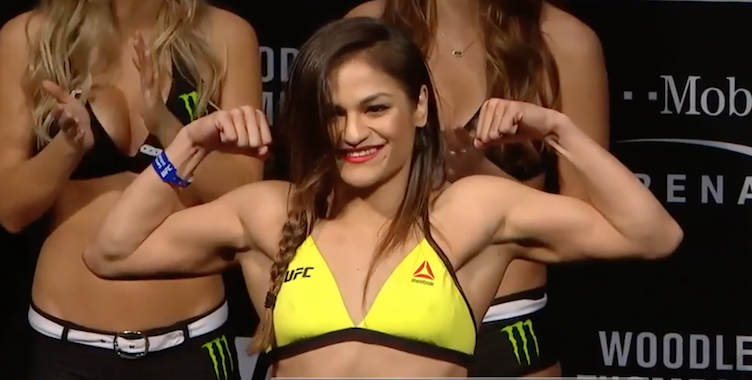 Unfortunately for ‘JoJo’ however, the UFC has yet to open the women’s flyweight division, and after her win over Letourneau she then dropped a 1st round submission loss to Jessica Andrade at UFC 203. Tomorrow night against Calvillo she will look to once again return to the win column. This article first appeared on BJPenn.com on 7/15/2017.